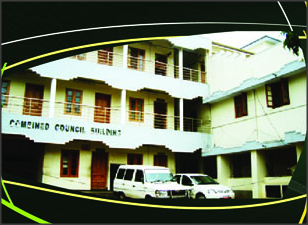 It was notified on 26/02/2015 to submit the copies of the Registration Certificate, Life Certificate, and Declaration Certificate of those who had not submitted them earlier. 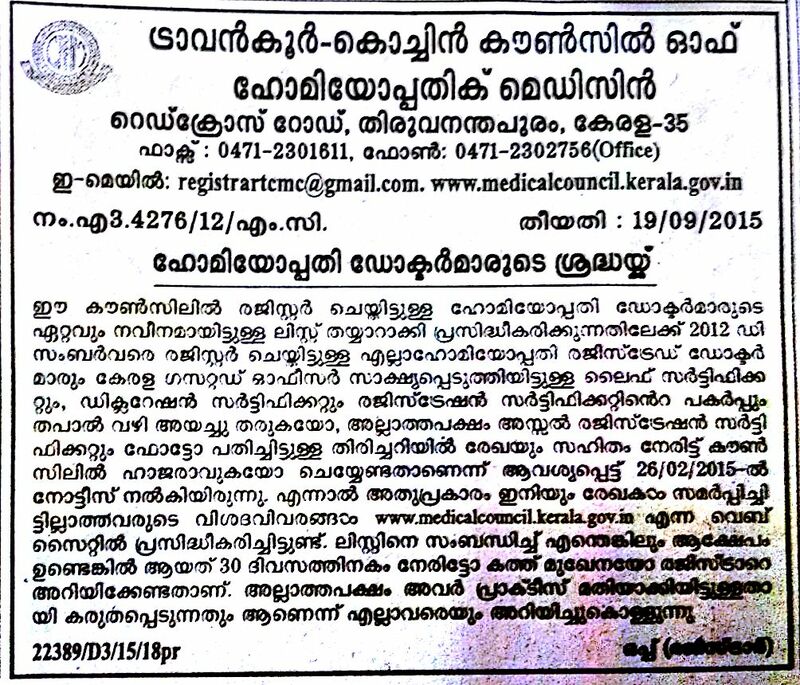 It is said that those whose names are not yet updated by these certificates are deemed to be considered as not practicing homeopathy and the registration number will be removed from the register.Any discrepancies should be notified to the Registrar at the earliest or with in 30 days from this notification. 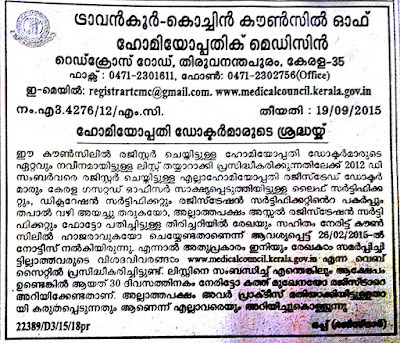 List of doctors not completed the registration at Travancore cochin Medical Council are given below. There are 2102 Doctors listed with their Registration numbers.